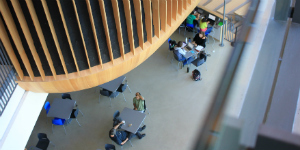 UBC Science offers a broad variety of courses, specializations and degrees. Find resources to support you in navigating your degree. You can pursue a Combined Major in Science or a major, honours, combined major, combined honours or double major across a wide range of specializations. In addition, you can apply for a minor. And as if that wasn't enough, there are co-op and student exchange program options that help to round out your university experience. ...don't overextend yourself. Make sure that you have enough time and energy to devote to them. Take a reduced course load, if necessary. Completing four successful courses in a term is better than taking more and failing. If you pass a course in UBC Science, you won't be able to repeat the course for higher standing. 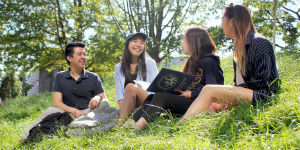 UBC offers many exciting courses—choose some purely out of interest! You’ll find it easier to get through the tough courses if you're also taking classes you’re passionate about. Remember, there's more than one path to medicine, law, or grad school. These are courses where there's enough overlap that credit can be obtained for only one selection. Two courses overlapping doesn't mean they're interchangeable! Program specializations may require a specific course selection. See the list. Students entering the second year of UBC Science are expected to be preparing to decide which program specialization they're going to follow. This is also a good time to begin your breadth requirements. It's important to check the requirements for your desired program specialization — they may also include a minimum average for admission or continuation. In particular, pay close attention to the courses needed as prerequisites. Some of these must be taken at a specific time in your degree. Also, not all courses are offered every term, so be sure to plan core courses ahead of time. 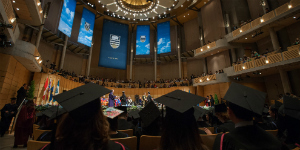 Consult with Science Advising, departmental advisors, and above all, familiarize yourself with the UBC Academic Calendar and your program specialization website. Not all upper-year courses (300+) are offered every year! By this point, the majority of students in UBC Science will be settled in their program specialization. 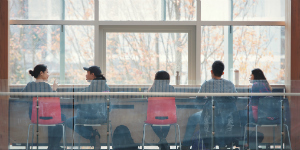 The start of third year is a good time to review Faculty and program specialization requirements (refer to your program specialization in the UBC Academic Calendar). Both sets of requirements must be fulfilled before you graduate with a BSc. Tip: Use Degree Navigator to track your degree progress. Science Advising will automatically conduct preliminary graduation checks for all fourth-year students to review their Faculty requirements using the Degree Navigator (DN) tool towards the end of Term 1. Science Advising only reviews students' faculty requirements. All students are reminded to consult their department program advisor to ensure they satisfy requirements for their science specialization. Students must satisfy BOTH faculty requirements and department requirements in order to graduate. Note: The Degree Navigator tool is not available to students in Integrated Sciences, General Science and those pursuing a second degree program. For these students, a manual faculty graduation check will be completed.